How Many Of These Restaurants Inside Mahalaxmi Race Course Have You Eaten At? If you are looking for a space that will stand out in the Mumbai landscape and will provide memorable experiences every single time, then Keiba in Mahalakshmi Race Course should be your go-to spot. With equal emphasis being put on both food and drinks, Keiba is the place you can come to for a delicious, authentic meal followed by a night at the high-energy bar. Try out their delectable dim sum, crispy cheung fun, fresh maki rolls and sashimi and inspired main courses and desserts. Read more here. 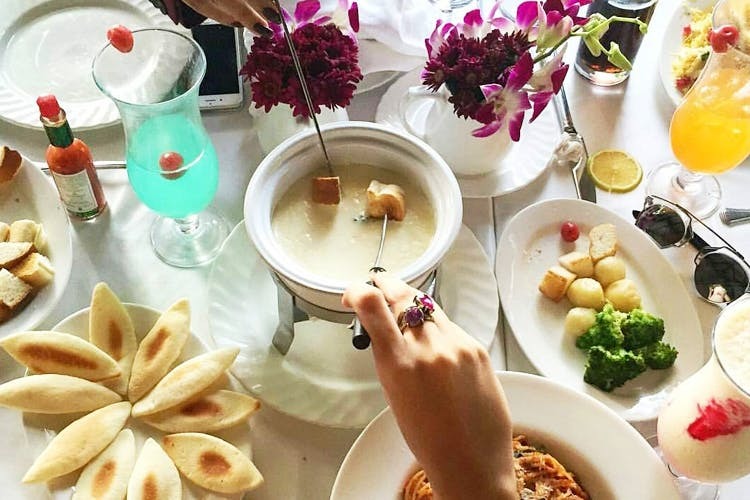 As mentioned by our insider Auroni Mukherjee here, the onion soup at Gallops is not be missed. Expect to eat chilli cheese toast, prawn cocktail and burrah chops here. If you’re a member, you will have the privilege of ordering off-the-menu items. The eatery enjoys a legendary status on Zomato, but we’ll leave the judgement to you. This architectural marvel houses a bar and a Neel, an Indian kitchen that doles out sumptuous Nawabi fare. Putting dishes from Lucknow, Hyderabad, and Kashmir on the plate, Neel definitely will entice you with the wide range of flavours. The bar at Tote On The Turf serves cocktails and liquor that will keep you going for the night. The bar nibbles served here are from Neel.